The hot cross buns have hit shelves. At least one child you know has had a breakdown in the supermarket over an oversized chocolate bunny. It can only mean one thing; Easter is just around the corner. Alongside tasty buns and chocolate galore, Easter also means egg hunts and one of the best loved is the Cadbury Easter Egg Hunt and Family Picnic. The hunt is back at beautiful Werribee Park in Melbourne’s west on Friday, 30 March, 2018. 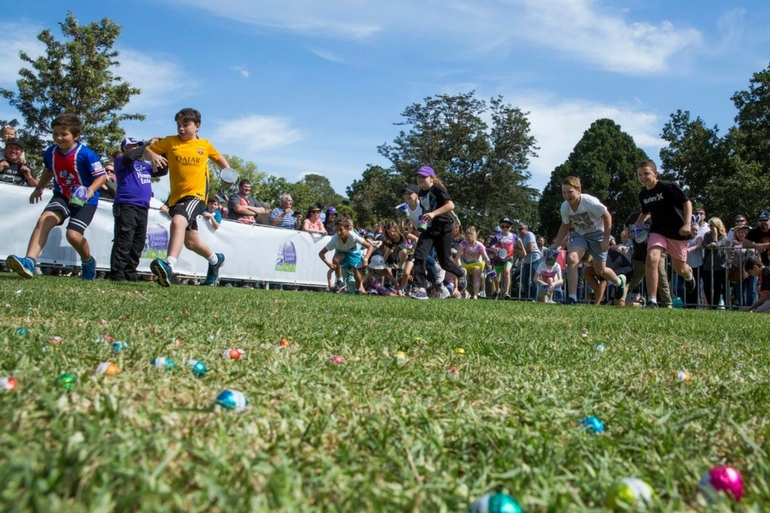 Kids can egg-haust themselves hunting for 400,000 Cadbury chocolate eggs hidden in the park. And we have TWO family passes to give away! Like preceding years, all money raised goes to the Royal Children’s Hospital Good Friday Appeal. Which is a pretty good reason to grab some tickets and let the kids run around like – well – rabbits! The Cadbury Easter Egg Hunt and Family Picnic isn’t just about the sweet brown stuff. There’s also a carnival, pony rides, face painting and arts and crafts. So pack a picnic basket and make it a fun day out for the whole family. Tickets always sell out fast so families are encouraged to get in quick to make sure they don’t miss out. For more information and to purchase tickets, visit Ticketmaster. Egg-citing news! Mum Central have TWO family passes, valued at $60 each, to give away to the Melbourne event! If you live in Melbourne – or are willing to travel – just fill in the form below for a chance to win a family pass to the 2018 Cadbury Easter Egg Hunt and Family Picnic. Hop to it and good luck! 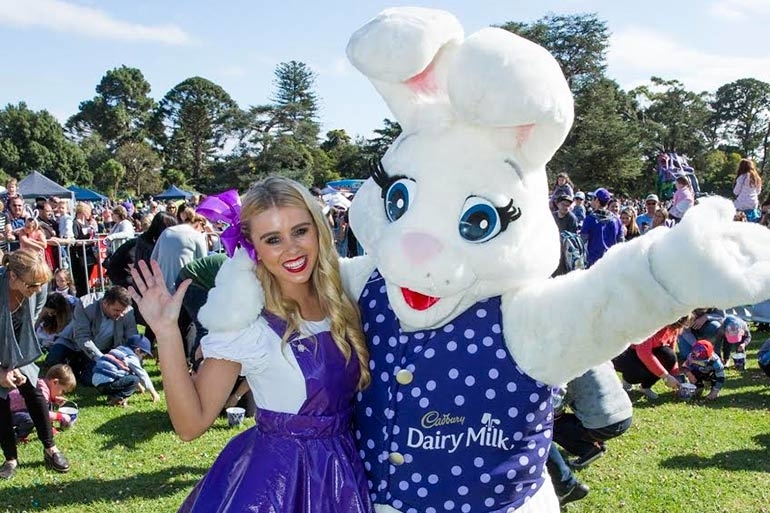 What better way to raise money and create a special memory than a picnic with family and friends at the Cadbury 2018 Easter Egg Hunt Family Picnic at the best setting – Werribee Mansion! With fond memories as children we love to keep the magic alive and share this event with ours. 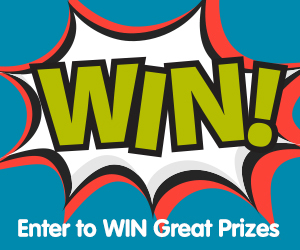 To win tickets to an event we have only heard amazing things about would be priceless to our families. We have tried to book tickets in the past but were unfortunate both times. Hopefully the Easter Bunny will hop by our way and wish us a very HOPPY EASTER!! My two kid’s love Easter and absolutely enjoy Easter Egg hunts. They would love to do this, and would have so much fun! Would looooove to win these tickets for my boys! I tried to purchase tickets but they are sold out!! We are a defence force family and don’t know how much longer we will be living in this amazing city! I am trying to expose the boys to as many amazing things Melbourne has to offer while we are here. This would be one of them. Would love to go as have never been before. It will also be the first Easter my husband won’t be working so we can finally enjoy Easter as a family. It will also be our little boys first Easter. Wow, sounds like a wonderful day out for the whole family, especially the kids who so enjoy seeing easter bunny, eating cadbury chocolate (the best) and playing racing games. What a great event for families and we would love to attend a real Easter hunt! What a special experience to share with your family. We cant afford to go as we have lost our jobs and would have been a wonderful thrill for our only son. Everyone deserves to win and wishing everyone good luck and good health. This is a special fundraiser which we do pray that so much money gets raised for the children’s hospital. The staff at the hospital are magical wonderful people and you cant put a price on what they do. We have encounted there help on several occasions and hope that they just get bigger and better. Pony rides , A carnival and Face painting are just a few of our favourite things ,A Family picnic to top it all off would be a perfect day ! Each year we support the Royal Children’s Hospital by attending and donating to the Good Friday Appeal. My husband and neice both spent a lot of time at RCH after birth so it’s close to our hearts. Having a 3 year old ourselves now, we would love to see her face light up at this amazing event which raises much needed funds for such a worthy cause. I’d love to treat the 2 more precious little people in my life, my grandchildren, to the Easter Egg Hunt. We’ve missed out on tickets before so they would love it and I’d like nothing more to see the joy on their faces. This is something I have always wanted to do but never had the chance, this year I hope I will! This event will not only be an amazing family fun filled day out but the meaning behind it is something close to many of our hearts. Having young children means giving to the rch good friday appeal is a must for most families especially ours. We would love to celebrate our Easter at this wonderful day out. We love Easter. The kids would love this. We would love to win. Weve always wanted to go but never had the time. This year we do! My son absolutely loves Werribee mansion and Easter so what a perfect way to enjoy two of his favourite things. Plus it’s a great way to help such a great cause. I would love to surprise my twin niece and nephew with this fantastic surprise following a difficult year of health issues..
We would love to be considered as we don’t get the opportunity to travel over the other side of the city much and my 2 girls would be so excited to go to this event. This would be a great family outing for us and to support RCH Good Friday Appeal is a tradition for us. I would love to spend a day out with my beautiful family, all the while knowing that the money you spend on the day is going to a worthy and much needed cause. Having 2 little girls – I know just how precious children are to their mummy’s and daddy’s. Easter is a really special time and a family day involving lots of chocolate and insanely happy kids couldnt get any better. This year our son will be 20 months old at Easter and knows about chocolate! Is would be wonderful to watch him run around having fun with other children on this magical event! This fantastic event has become a tradition for us & we never miss it! What better way to raise much needed funds for such a worthy cause than celebrating & eating Cadbury eggs. Because I love my Kids (to the moon and back 1000x), I love Choclate! I Love Cadbury’s, I love Werribee (the zoo is literally my second home, ask my hubby who mocks me relentlessly about using child education to hide my obsession ) and I love Mum Central so you will be supporting all my lives in one perfect day!! Perfect Easter! We would love to win this as my son is autistic and we are so excited that in 2017 Sammy actually understood about christmas, this year he has started getting excited about, and understanding the concept of Easter. My daughter would love this as she is a chocolate fiend. This would be the perfect outing to celebrate my granddaughter’s birthday. Hot cross buns, Easter bunny and an Easter egg hunt what more could a little girl turning 4 possibly want, and we’d get to help The Royal Children’s Hospital to boot (the place that saved her favourite uncle’s life). To have a fun family day out spending some quality time together. What else is more important. Seeing the fun and smiles on my girls faces would be priceless. Having never been to this event before I would love to experience this with my family. As a parent of a child who regularly visits RCH I am aware of the necessity of raising money to support the hospital that we are so blessed to have care for our kids. We have been going to the Eater egg hunt at werribee mansion for the past 8 years with our three boys and it’s our favorite day of the year. I’ve always wanted to go the Werribee mansion and spend Good Friday together as a family ecelbrating Easter and raising money for the most worthy cause. Both my son and daughter would absolutely cherish this experience! My husband and I too!! It’s so nice to be able to do fun things as a family!! MY kids would have a ball with this!! I would love to take my niece and nephew to this. I love to see their faces light up with excitement. Plus all the money raised from this event goes to a wonderful cause. Sounds like an amazing day for the whole family! We’re a family that attend the RCH frequently and donate each year to the good Friday appeal. This year, together with our donation, it would be great for our kids to have a little fun and the egg hunt would be a wonderful way of doing that. My daughter would love to experience this!! We have never been to this event before as it is always sold out in advance. My kids (9 yo boy and 5 yo girl) would be ecstatic if we can go this yeat. It would e totally eggselent if I could take my son to this egg hunt. What an eggstravaganza that we would love to be a part of. Both me and my son would be totally eggstatic. I would love to win as we have never done this before and I think that it would be an amazing day has by my whole family. My kid has chocolate radar. If I won this I would be the best mum in the world. I would love to see a 30-40 age group for this hunt. How awesome to see a bunch of parents fight for the humpty eggs!! My kiddies would absolutely love this.. actually so would the hubby! it looks like it would be an amazing day out for everyone! We all love a good treasure hunt, especially if we are rewarded with chocolate eggs! It would mean we get time as a family to to relax and have fun together which we havent had a lot of this year. We have been taking our daughters to this event for the last 5 years and it has become an easter highlight for them. Unfortunately as a nursing student who is going to be on placement for a total of 11 weeks this year (7 of which will be at The Royal children’s Hospital) I don’t have much disposable income. It is a fun filled day full of love laughter chocolate and games that raises money for a fantastic hospital that helps so many people. We are a Cadbury chocolate living family here and I’d simply love to treat my kids this Easter to a fun family day out! We have never been to anything like this and I can just imagine the smiles on my little girl’s faces as they see all the Easter fun and of course the chocolate! Plus it is supporting a charity that I really like to get behind and support whenever we can, such important work they do, a fun day out for a fantastic cause! Win-win! Would love to win this eggcellent prize it’s such a fun filles day for the whole family and all for a good cause. A Cadbury Easter Egg Hunt would be an amazing sweet treat for the family. A great way to spend the Easter celebrations with friends and family and even better it’s for a good cause to bring a little bit if joy to other families. This would be an amazing experience for my boys who are all chocoholics!! As someone who has spent considerable time at a children’s hospital for one of my boys, there is not a better cause than raising funds for these wonderful hospitals and their dedicated and passionate staff. It’s an amazing experience for my children and such a fun and exciting atmosphere! I have the biggest chocolate addiction and passed on to my son. What better excuse to finally check out Werribee! My Children would love to have a larger hunt as i stage one in the house for the kids, They both love to eat chocolate. I’ve heard the egg hunt is a wonderful family event. This would be a great day out for my family, and my 4 year old is at a great age where she is beginning to understand and enjoy activities like this. I would love to be part of this amazing family event. I always miss out on buying the tickets and this year my English in laws will be here visiting so it would be wonderful to take them along! I have a 5 week old and a 3 year old, and ANY chance to get out of the house is great!! My boys would love to experience an egg hunt like this, it’s great that proceeds help support a worthy cause too! With 2 little ones at home this would be an ideal way to spend the day. Chocolates, pony rides what else can 2 little girls ask for? Would love to take my 4 year old for his first ever Easter Egg Hunt. He would be stoked if we won especially with all the cool activities around! Best of all, it’s all to support the Good Friday Appeal! Our girls are 5 and 7. They have been an incredible help over the last 2 years during my wife’s pregnancy and with our new twins. It would be nice to tell them how much we appreciate their love and help. They are great little girls. Fantastic event for a great cause and so much fun for the family. My son has just started to enjoy chocolate, I couldn’t think of a better way to help aid his new found love. Then to also be helping such a good cause…this is a great opportunity! My three boys would absolutely love this. We have never been on an Easter egg hunt before. I love hearing the fun and laughter as my kids run in for the eggs, add to that the fact that whole day is for the worlds most tremendous charity and it makes the whole day so much more special. Easter is an exciting time for my little ones. What a wonderful way to spend the day as a family. Full of laughter and memories. I would love to take my family as I’d have my baby boy and my little girl would be so excited to go on an easter egg hunt as a big family with her new baby brother. Its an amazing and exciting event for both kids and adults. An eggcellent way to celebrate Easter and spend some wonderful time with family! As a single Mum I know My children would love to celebrate the day meeting the Cadbury Easter bunny and raising money for such a worthwhile cause being the Royal Children’s Hospital Good Friday Appeal to say thanks for the care they give my daughter. Also I’m sure they would love to hunt for a few Easter eggs aswell. Easter is a special time for our family. This would be a fantastic day out, coupled with a reminder of how truly lucky we are to have happy and healthy children. Of course, chocolate is a welcome bonus! Apart from this being for a great cause I have a little nephew who would love this, he is 17 months old and having chocolate all of his face and hands brings the biggest smile to his face and mine. Because it looks fun and with a delicious outcome. I would love to bring my kids along! New to Melbourne. Lover of chocolate. A softy for raising money. A sucker for anything outdoorsy and fun! A beautiful day out with my family, creating delicious memories and helping those in need at this special time of year. My kids would be so eggcited to go and it would be eggtra special as daddy has been away working the past couple of easters but is home this year for it. I have had alot of health issue the past 4 months and I could think of a better way for us to spend time as a family and celebrating Easter but to go to the Cadbury Easter Hunt, Master 8 and Miss 6 would absolutely love it and we have never done anything like that before. We missed out on tickets this year, and it’s our good Friday tradition for the past 12 year’s. I have two children and have never been able to take them to this event. It would be a great day out with my family. And it’s for a great cause!! It would be an amazing family day out, celebrating Easter, raising money for a great cause and hunting for the chocolates… for the kids of course!!! A great family day out while also supporting a fantastic hospital that has helped both of my children. As parents we all know nothing is better than the smile of the face of a child after recovering from illness. Thank you RCH ,The good Friday appeal and Cadbury. We are new to melb and dont live far away. I would love to start a new family tradition and also support such a worthy cause. My eldest when she was born- was in the Royal Darwin icq, so I know how important it is to support our hospitals. My kids love Easter especially the morning Easter egg hunt. The excitement on their faces when they see that the Easter Bunny has come brings us so much joy. They would absolutely love attending the Cadbury Easter Egg hunt and enjoy a family picnic. The RCH has a special place in our heart due to spending some time there between hospital stays and specialist appointments, so any way to raise money for the Good Friday Appeal is a winner for our family. Honestly, I never have the money to take my kods to something exciting and worthwhile like this. The joy on their faces would be amazing!!! It sounds like a magical picnic in a beautiful garden with wonderful things to keep the kids delighted! Family tradition to do Easter egg hunts going on 4 generations now. My kids still anticipate waking to go looking in bushes and pots for eggs! We just love it. My daughters would absolutely love it! My eldest loves to look for things so this would be perfect for her! We would love this family pass for the Cadbury Easter hunt. With our work we don’t get to see each other often and do fun activities with our young daughter. This would be so much fun for us all to attend. 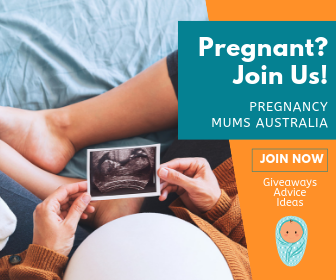 I live in QLD now but would love to win the tickets to give to my friend Kate so she can take her three kids – they really deserve a fun day out. Because I love to see surprise and excitement in my sons eyes (he is 2). It makes me feel happy and warm inside. And, he hasnt gone on an easter hunt yet. RCH is the only fundraiser we donate to Every year. Because who doesn’t love the opportunity to collect as many chocolate eggs as possible??? This would be an extremely fun day with my 2 boys and husband. One they will remember for a long time. I’d love to collect eggs with the kids for a change! Noe that my daughter is old enough to run around, I think she would have an absolute blast at this event. Great family outdoor adventure with yummy Cadbury chocolate. To give my kids a hopping good time! Would love to start this as a tradition with my kids! With a 8 year gap between my kids, it’s tricky to find something that all can enjoy! Just to have something super different and exciting for the kids to do on Easter. We’ve always done little hunts around the house but this one would be the ultimate one. We’ve had a pretty rough trott at the moment financially and this would just be nice to look forward too. I would love to win tickets to the Cadbury Easter egg hunt as it is the first year my kid’s are old enough to attend and they would have a ball. I would love to win this because my son loves the easter bunny and it would be a great day out for us. Easter is family time, what better way to spend it then on a Cadbury Easter Egg Hunt & Family Picnic. The kids get a great day and the adults get great food and company. Travelling to Victoria from Queensland for a family gathering this Easter. Have always read about Cadbury’s Weribee Easter Egg hunt from afar. This year there is a distinct chance, at las, that i’ll be able to attend with family members.. Tix? Yes please. I would love to surprise my niece and nephew and take them for Easter egg hunts! What a great day. Wounderful cause, love the Good Friday Appeal. My two girls are still pretty new to the egg hunt thing. Although they do know what Easter eggs are and enjoy eating those. For years I have watched the Good Friday appeal and seen the Cadbury egg hunt and finally I have children who can participate. An amazing cause to celebrate and donate to. Every year I live in regret that we didn’t attend the Cadbury Easter Egg Hunt and Family Picnic. My sister and I say that that next year we will take our girls because it would be the most wonderful way to experience Easter! When I was younger I always wanted to go to the Cadbury Easter Egg hunt but my parents never took me. Now that I am a parent myself, I would love for my children to have the opportunity to go that I missed out on – so I can live vicariously through them! I would love to be able to share this day with my grandchildren Aurora and Kody as I have never been in the position to purchase tickets myself. I have supported the cancer centre in other ways as I have lost members of my family to this terrible disease. If I should be lucky enough to win a ticket for my little family I would be so happy to share the day with my grandchildren and give them the opportunity of being aware of what the day really means and how it helps those who are less fortunate. I can not think of a better way to start the easter celebrations! Watching my 2 yr old run for eggs, spending the day with family at a beaitiful mansion whilst supporting an amazing cause. My fiancé works shift work and unfortunately misses out on quality family time with myself and our two sons often. To enjoy a family day at the Cadbury Easter Egg Hunt at would be absolutely beautiful and grant us the opportunity to be thankful this Easter for our little family and the opportunities for time together. My girls play easter egg hunt in the backyard every year, and absolutley love it, l love seeing there faces pop up with big smiles each time they find an egg, what a wonderful day with massive garden to be at the cadbury easter egg hunt my girls would be estatic. My husband works away quite often, and has been away every Easter since my eldest (nearly five) was born. This year is the first year he will be home for the Easter break. Being able to hunt for Easter eggs with my husband and my two girls would be an amazing day out for all four of us and be sure to bring lots of smiles, giggles and memories! Our 5 week old bub spent the first 2 weeks of her life at the RCH in the NICU and I would love to be able to take my 3 kids along to have a little Easter magic at this fantastic event and show our support for the amazing hospital. My kids and I Easter egg hunts, and Cadbury create THE BEST tasting eggs! We LOVE Easter egg hunts! It will be my little boy’s first Easter, what better way to celebrate! We were lucky enough to attend the Easter egg hunt a few years ago, would love to take my son back again as he had such a great time. He is also obsessed with all things rabbit so it would be heaven for him to hang out with the Easter Bunny. I would love to win tickets for my little man and husband to go. Its the fist time my little one will be able to try and enjoy a chocolate egg and this isn’t something we could generally afford to just go and do as our budget is very tight. We love the RCH, and have spent a decent amount of time there in the last two years. I would love to bring a little extra magic into my sons easter this year. I have two young children who love getting out and about. We don’t live near Melbourne but it would be great to take them for a fun day out and visit some relatives while we are down there. Who wouldn’t want to win this? Nothing better than an easter egg hunt and this one is epic! We will go even if we don’t win, but fingers crossed! I would love to win tickets to the Cadbury Easter egg hunt!! I’ve missed out 4 years in a row!! I never seem to hear when they go on sale and miss out. I think this will be the last year with my son believing in the Easter Bunny now he’s in the senior half of the school so this would be really special for us to win! The Cadbury Easter Egg hunt is all about spending time with your family and supportinga great cause. We all live such busy lives and opportunities like this give us the chance ro truly enjoy what we have. For me, two healthy girls who I feel like are growing faster than I can keep up with. The chocolate Easter egg hunt is a bonus that they would talk about for the next year. Would love to treat my kids to this after the death of their baby sister at RCH and be involved in such a great cause. My family would love it and it’s a wonderful way to raise money for an amazing cause. 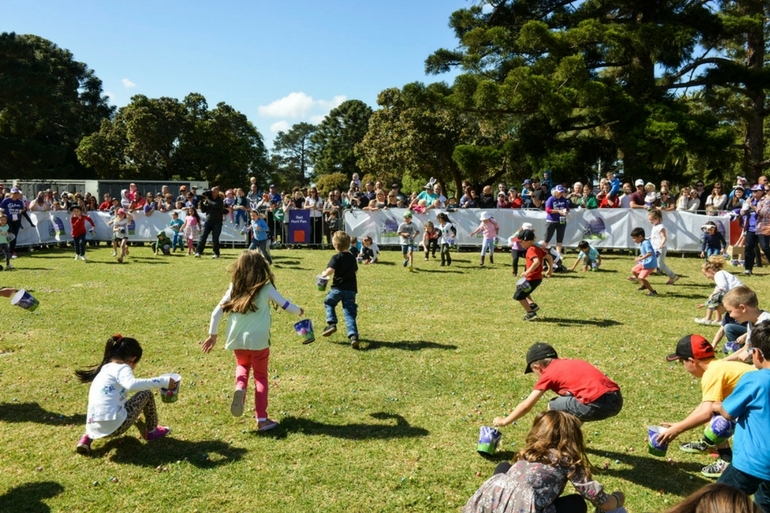 We would be greatly egg-cited to search amongst the beautiful property that is Werribee Park joining the egg-travaganza hunting for the most delicious Cadbury Easter eggs. Egg-ceptional memories will be created. A fun filled family day, happily egg-hausted by all the joy, Cadbury sweet dreams for the girls and boys. For our choc loving family! The Cadbury Egg Hunt would be number one! To celebrate Daddy’s recovery indeed! This would be just the very best Easter Gift for my 3 and a half exuberant GREAT GRAND SON I would be just the very best GREAT GRANDPARENT around. Went last year for the first time with my then 2yr old daughter. She had an absolute ball. Seeing that smile on her face was priceless and raising money for such an amazing cause. I’d love to do it all again!! I love Cadbury chocolate eggs and havent been in an egg hunt since I was 10. What a great way to relive my childhood! Our kids love exercise and love chocolate. We can kill 2 birds with 1 stone this way. Say Master 11 & Little Miss 1. With games to play, rides & yummy chocolate eggs to eat. Creating wonderful memories while we are there..
Its a great way to raise the money for the hospital that looks after our precious ones. And its great time for the whole family to enjoy some tasty chocolate! We don’t normally get a chance to do family activities due to work commitments. Last year I was able to volunteer in the phone room for the good Friday appeal and it was fantastic. Now I have a week old newborn so would love to take her on her first family outing with her big sister and dad and have a fabulous day at Werribee mansion. My 20mo daughter would love to see the Easter bunny. What better way for my 4 kids to support the hospital that invested so much time/money/emotion/effort into our whole family while they tried desperately to save our youngest member (unsuccessfully) 5 days before Christmas. Never been to a real Easter Egg hunt, we do have them each year around the house, this large one with other families and lots of kids would be a real experience they would always remember. Cadbury IS the only chocolate, hence the only place to see the real Easter bunny. I’m as excited as my kids are!!! My family loves easter egg hunts as the children find the eggs and mum and dad eat them when there not looking. THis family is a winner!! Love and laughter will be shared by all, guaranteed this Easter we’ll have a ball! This looks like so much fun! My kids love Easter egg hunts and this would be so much more exciting than just poking around our garden. so many easter eggs, our minds will be blown! My little twin bunnies and I are eager to hop over to Werribee Mansion and take part in the hunt. No yolks my little chicks are a tad shy, but we’re prepared to egg them on, encourage them to come out of their shell, and scramble across the lawn to hunt high and low for those wonderful eggs. I’ve read so many times before to never put all your eggs in one basket, however just this one time I think we will. I’m sure on our first Cadbury Easter Egg Hunt and Family Picnic adventure, we’ll create fun memories we’ll forever treasure. It all about the magic of Easter Our kids love an Easter hunt and this would be one special hunt!!! I’d love to win this family pass. I’ve taken her the last 2 years and we have a ball but naughty mummy forgot to buy tickets this year and just realised they have sold out so feeling very sad. I can have fun too without worrying about the aftermath of cleaning to do! I totally miss egg hunts when i was little. My mum would hide eggs around the hoise and leave brown paper bags outside our doors. The best part was finding eggs much later…. what a great surprise. I want my kids to enjoy easter as much as i did. Spending time with family and just having fun is the best fun to have.